New Mexico State University-Grants is marking its 50th year of providing quality education to the diverse communities of Cibola County and rural northwest New Mexico in 2018. “I am learning more and more from our communities that NMSU-Grants is widely recognized for quality adult education, career and technical education and transfer coursework for those students who wish to pursue a four-year degree,” says Mickey D. Best, who was named president of NMSU-Grants in early 2017. In 1968, thanks to the cooperative efforts of NMSU and Grants Municipal Schools, NMSU-Grants was established as a branch of the university. During its first year of existence, classes were held in the evening in public school facilities. The following year, the college moved to its present site at the location of the former Job Corps vocational buildings and gymnasium. Renovation of a main building in 1977 resulted in a functional space to house classrooms, a student lounge, the campus bookstore, a library and faculty and administrative offices. Over the years, NMSU-Grants has expanded to include additional classrooms and offices. In 1987, the campus’ main building was dedicated as the Walter K. Martinez Memorial Hall, in memory of the former state representative and New Mexico Speaker of the House. 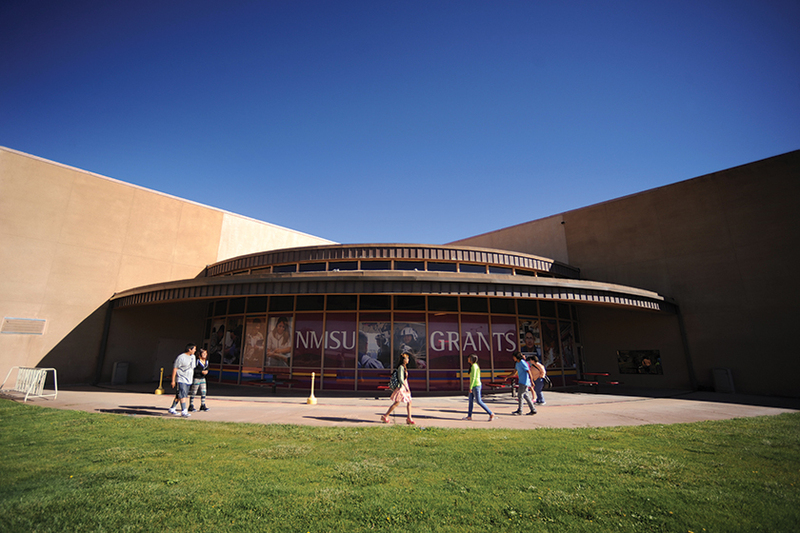 During Martinez’s tenure, the Grants campus received significant appropriations for capital improvements to plan, remodel and construct the NMSU-Grants physical plant. He also helped establish the Severance Tax Permanent Fund through which a revenue source was created to fund higher education and other state capital outlay projects. The campus gymnasium was dedicated as the Joseph A. Fidel Activities Center in October 1993 in recognition of the New Mexico state senator who was a friend and mentor of NMSU- Grants, helping form the college while serving on the Grants-Cibola County School Board. Five years later, the remaining Job Corps building on campus was named in honor of Francis (Frank) W.McClure in recognition of his crucial role in the campus’ successful beginning. Today, the mission of NMSU-Grants is to provide an accessible, quality education through innovative teaching and learning that promotes respect and service for its diverse students and community.